The new 2019 Ram is coming! 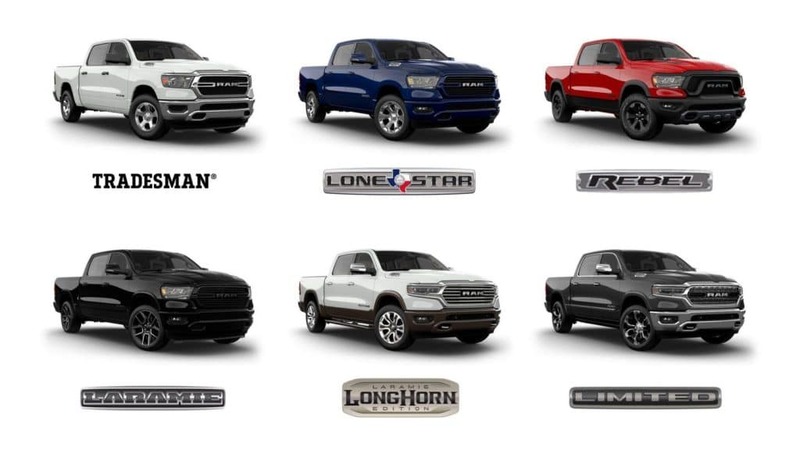 Think heritage Ram Brand style with all-new appeal. A bold new exterior with a sculpted design, smart cargo management and advanced technology pushes the boundaries of what you think a truck can be. Life demands a truck that can take on every challenge and exceed every expectation. 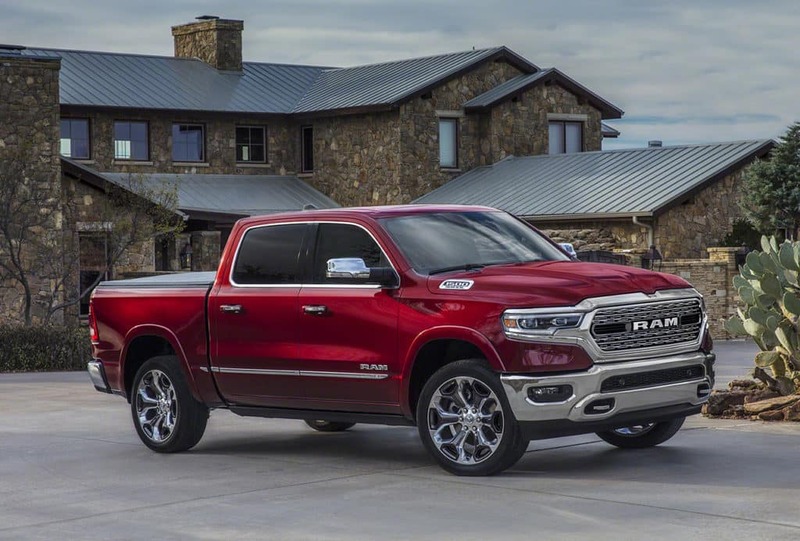 Extensive use of high-strength steel in the frame, cab and box make the All-New 2019 Ram 1500 the strongest Ram 1500 ever. With the most towing and hauling capability ever in a Ram 1500, improved efficiency and exceptional available off-road capability, the All-New 2019 Ram 1500 has the grit to take on any task. With Best-in-Class V8 engine towing, the All-New 2019 Ram 1500 provides maximum payload for the toughest jobs. And with the available Class-Exclusive Active-Level™, Four Corner Air Suspension System with automatic load leveling, you can tow and haul with confidence. The new available 5.7L HEMI® V8 engine with eTorque technology delivers an impressive 395 horsepower, 410 pound-feet of torque and a supplemental 130 pound-feet eTorque while also delivering improved efficiency. The All-New 2019 Ram 1500 offers an available Class-Exclusive Active-Level™ Four Corner Air Suspension that automatically lowers the vehicle at highway speeds for greater efficiency. A sculpted exterior combined with advanced features such as a Class-Exclusive active air dam that automatically deploys at higher speeds. The result? The lowest frontal drag coefficient (13.0 CdA) in its class. Now available in Quad Cab® and Crew Cab models, the Ram Rebel® is equipped with off-road features like an available Class-Exclusive Active-Level™ Four Corner Air Suspension with as much as 2 inches of lift for extra ground clearance, new 33-inch Goodyear® Wrangler DuraTrac® tires and a new ELocker® Electronic Locking Rear Differential for even more off-road performance. More space. More storage. More leather. More technology. The All-New 2019 Ram 1500 is truly the best combination of grit and grace. Step up to the most luxurious truck in its class. Whether you’re piling in tools or sports equipment, the All-New 2019 Ram 1500 has it covered with an impressive 151.1 liters of storage space including Class-Exclusive in-floor storage. That’s nearly twice the available interior storage of the closest competitor. A fold-up rear bench seat and true flat-load floor make loading and unloading easy, while grocery bag hooks and Class-Exclusive adjustable rear under-seat storage ensure there’s room for more. Stash your stuff and charge up to five phones in the new Class-Exclusive center console, redesigned with features such as a bin for hanging file folders, space for a 15-inch laptop and Class-Exclusive Type-C USB high-speed charging ports. The available Uconnect® 4C NAV offers the option of an advanced, Largest-in-Class 12-inch touchscreen. Stay connected with full-screen Navigation, music and hours of on-demand content. A customizable home screen with split-screen capability means you can do two things at once, while features like pinch-and-zoom technology let you use your touchscreen to multitask. Easily accessible redundant controls located on both sides of the touchscreen offer easy access to key features. 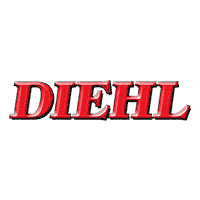 Diehl is your Pittsburgh PA 2019 Ram Truck Headquarters. Serving Butler, Grove City, Robinson Township, and Pittsburgh.